Laser! Cats! Ferns! Animal prints! It's all happening on 100% cotton. 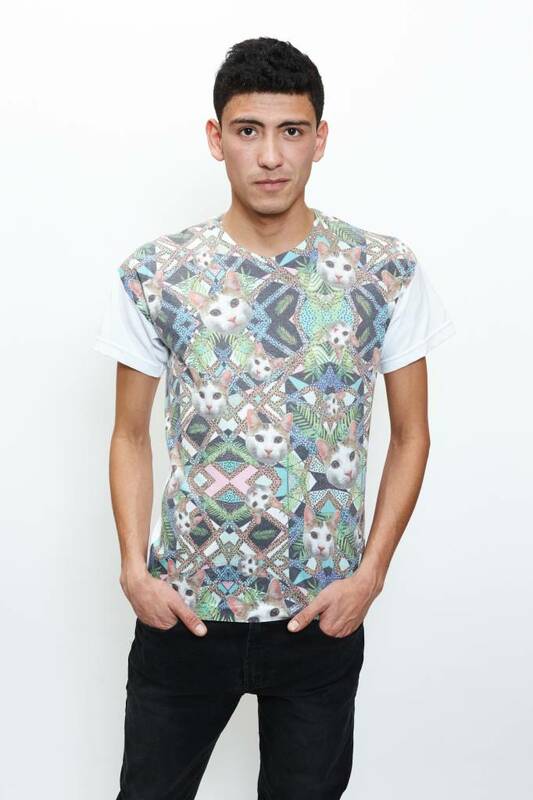 It's laser cats on animal prints, floating ferns and geometric pastels! 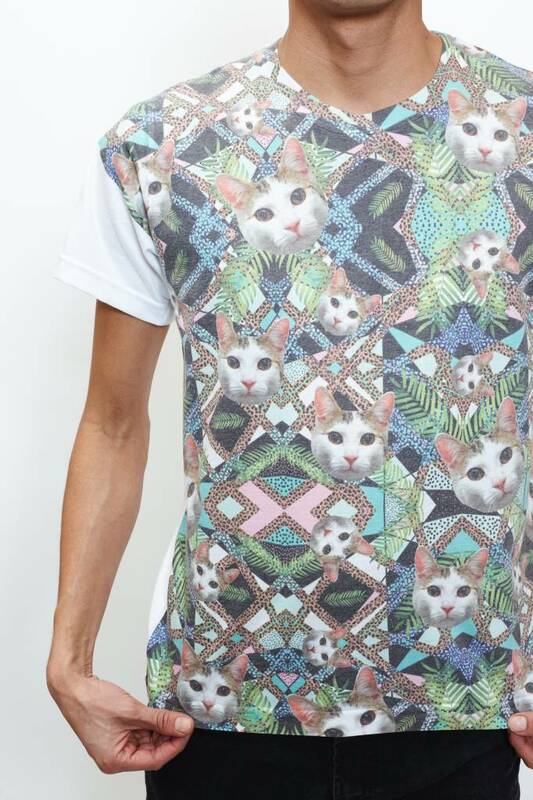 This shirt has it all. 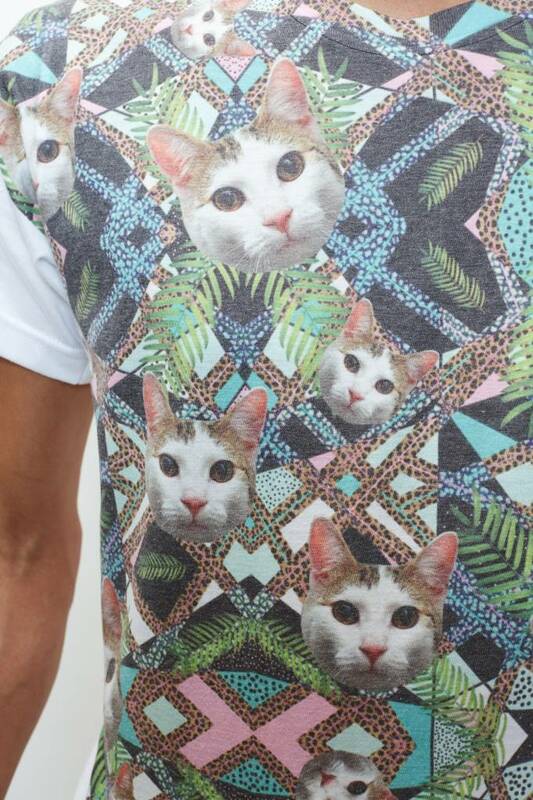 There's nothing boring about this super soft 100% cotton unisex tee.